On this day in history in 46 BC, Julius Caesar, the Dictator of Rome, not an Emperor, defeated Caicilius Metellus Scipio and Marcus Porcius Cato in the Battle of Thapsus. After Julius Caesar had conquered Gaul, he wanted to return to Rome. And return to Rome in Triumph. That pretty much meant "with his army." However, the Roman Senate didn't want the famous and very successful Roman General anywhere near Rome with his army. They ordered he disband his army, leave them north of the Rubicon, and enter Rome alone. Julius Caesar was a smart cookie. He knew he'd be killed by an assassin, or arrested by the Senate, if he entered Rome without his army. It was a decision he thought long and hard about. Cross the Rubicon and he'd be entering Rome with the promise of a Civil War. He Crossed the Rubicon with his 13th Legion, entering Rome in Triumph. This sparked a mass fleeing of most of the Roman Senate, which included Caesar's arch-nemesis Pompey (not the volcano). Caesar knew he had to hunt down Pompey and the other Senators, so he took his army from Rome to Greece. Battles were fought. Battles were lost. Caesar never gave up. Never surrendered. Caesar defeated Pompey's army at Pharsalus, and, not wanting to stick around to see what Caesar would do to him, Pompey fled to Egypt. The Egyptian Pharaoh, Ptolemy XIII, never one to miss a trick, assassinated Pompey and presented Julius Caesar with his head as a gift. The Pharaoh thought Caesar would be pleased with the present. He was not. Not by a long shot. Caesar was said to have mourned the loss of his former enemy, and then put those who killed him to death. No one, not the Pharaoh of Egypt, nor a lone assassin, had the right to kill a Roman Senator. The fight was not over for Caesar. There was still resistance in the last of the Roman Senate who had defied him. Marcus Cato and Caelius Metellus Scipio had gathered their forces in the African provinces. Their army numbered 72,000 men. Caesar's army had a mere 50,000. The Battle of Thapsus raged. Caesar's ability to lead an army, turn an inferior situation to his advantage, and win against a superior force, was at its highest. Scipio had his army circle Thapsus and approach from the north. He was trying to predict what Caesar would do. His army remained in tight battle order, their elephant cavalry close beside them. Caesar commanded his army from the right side, with his cavalry and archers flanking the sides. Upon seeing the Elephant cavalry, he muttered, "What the f..." and had his own cavalry reinforced with an additional five cohorts of men. 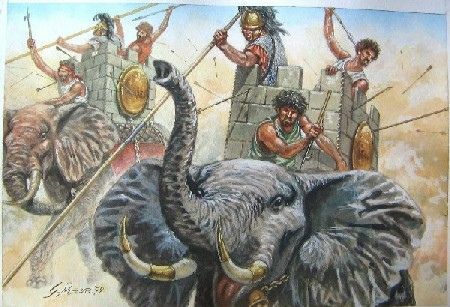 Caesar directed his archers to aim for the elephants and take them down. Not an easy thing to do. Those elephants are tough beasts. The elephants charged Caesar's left. Remarkably, the soldiers withstood the charge. An unbelievable mark of bravery. Would you stand your ground with dozens of elephants charging at you? The elephants were lost. All dead or crippled. Victory was close. Caesar had his cavalry outmaneuver the enemy and destroy their fortified camps. They were now in full blown retreat. It's been told there were over 10,000 enemy soldiers who wanted to surrender to Caesar. They didn't get the chance. Each and every one of them were torn to pieces by Caesar's advancing army. This act was unusual and very out of character for Julius Caesar. Caesar was known to be very merciful to those who wanted to switch sides. This is why it's believed, as the battle progressed, that Caesar was not in command. He'd had a seizure. It's thought Caesar had suffered an epileptic fit and had been taken back to his tent to recover. The Battle of Thapus was a resounding victory for Caesar. The Civil war was all but over. Just one more battle and there would be peace. Fun Fact: The Battle of Thapus saw the last large scale use of War Elephants in battle. On this day in history in 1199, Richard I of England, or Richard the Lionheart, died. Two weeks ago, we reported Richard-I-Ate-The-Heart-Of-A-Lion was shot by an arrow, shot by a bow, shot by a child, who will be shot with a shotgun in the face, as he shot the King. The king was out driving in a Limousin in the grounds of a castle, when a small child resembling a French Tyrion Lannister, emerged atop the castle wall and shot him with a crossbow. After the king tried unsuccessfully to extract the arrow from his privates ... oops, tried to extract the arrow in private ... he called a surgeon, nicknamed the Butcher. That really is a great name for a doctor. Gives you confidence in his abilities. It's someone you'd take your kids to see for a check-up. Trustworthy. Professional. During the highly delicate operation to remove the arrow, the Butcher lived up to his name and butchered the hell out of the king's appendage. And his arm. The Butcher failed to clean the wound, and it turned gangrenous. He reported afterwards that the king was expected to make a full recovery. In fact, he died. Keeled over, writhing in pain, singing a pretty good rendition of Abba's Waterloo. The poor guy was delirious. Which is probably why he also declared the boy who shot him was to go unpunished and set free. On this day in history in 1896, the first modern Olympic Games took place in Athens, 1,500 years after the original Olympic games were banned by the Roman Emperor Theodosius I.
Theodosius, also known as Theodosius the Great, a name he may have given himself, was also known as Cute-Squirrel-Lips by his Praetorian Guard. Theodosius-Cute-Squirrel-Lips had a serious problem with the Goths and set about trying to eradicate them. Perhaps they reminded him of his own moody teenage years? 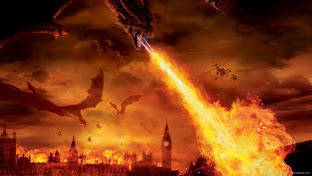 His reputation took a serious hit, along with his gonads, a war injury he would never recover from, as he wasn't successful in destroying the Goths, or the other barbarians, or One Direction. Theodosius-Now-Speaks-In-High-Pitched-Voice had a problem, not only with his dangles, but also with pagan rituals. He wasn't able to perform some of them because of his now-deformed Julius Caesars. He banned a lot of the pagan rituals, including the Olympic Games, which weren't restored until 1896. On this day in history 6th April, in 1974, ABBA, that mystical Swedish pop band, won the Eurovision Song Contest with their most famous song, "Waterloo." On this day in history in 1992, Isaac Asimov died. Isaac Asimov was a prolific science fiction writer who was responsible for coining the term "Robotics".